What’s the medical hypnosis ? Why do we use the medical hypnosis ? People are worried when they go to the hospital and more when it’s for a surgery. A surgery involves an anesthesia. A lot of patients have adverse effects because of the anesthesia like nausea, sore throat, vomiting. Some side effects may be really serious like an allergy or a cardiovascular risk. For many years, hypnosis has shown its effectiveness in the relief of pain. For 3 years, it has been used as an alternative to general anesthesia. A French start-up created HYPNOVR. 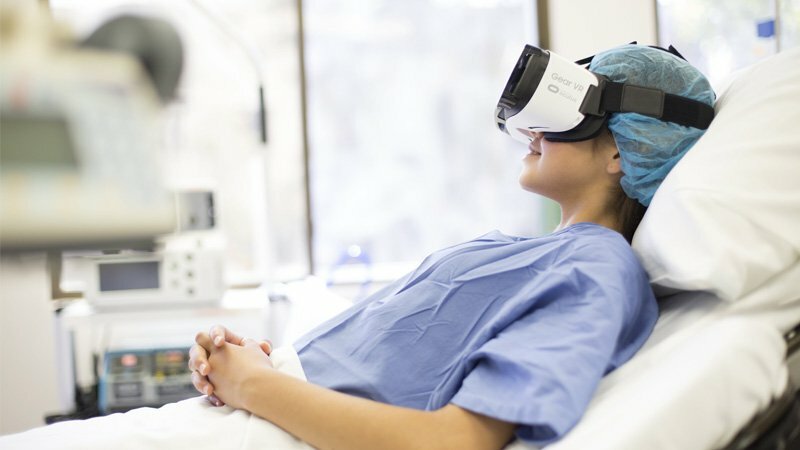 It’s a software solution that uses virtual reality technology to do anesthesia with hypnosis. They market, since this autumn, their first software. Clinical trials took almost two years. You can buy the headset, in addition of the software. What can you see to be hypnosis ? And you can use different voice actors. What are the application sectors ? In line with patients expectations. The helmet can also be used after after a painful procedure. Even if the anesthesiologist is gone, you can use it. It relieves for several hours.